Here is a very encouraging story about saving a life. 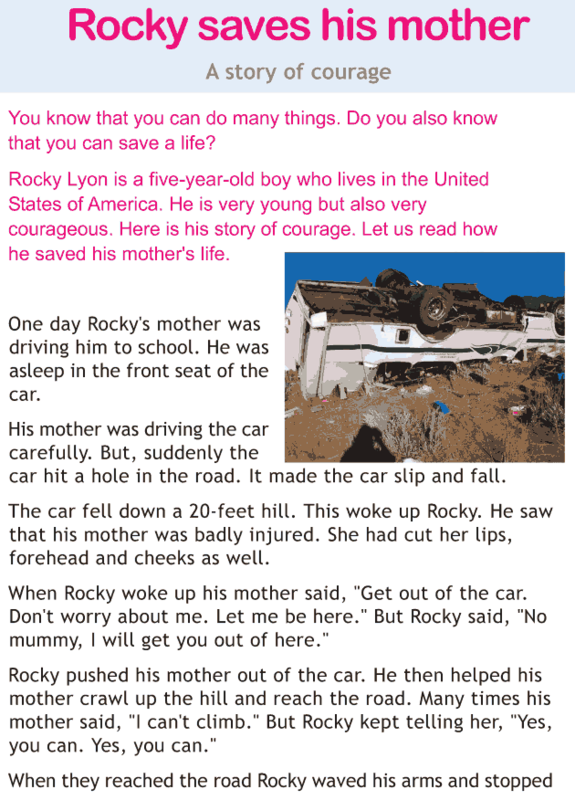 This story is about Rocky who saved his mother’s life. This lesson teaches us about courage and how we have the ability to save a life.